“We believe that our program for 2015, our 175th anniversary year, is one of the best and most extensive Cunard has ever offered,” said David Dingle, CEO of Cunard Line. “We have listened to our passengers and we will be visiting even more celebrated and iconic destinations, along with less familiar but equally alluring places, and we’ll offer longer stays in port. The 2015-2016 Voyages Program goes on sale April 8 2014, with pre-registration beginning 9 a.m. EST March 20, 2014. To start these momentous celebrations, all three Queens will meet in Southampton on May 3, 2015. This Cunard Royal Rendezvous will be followed by a “Liverpool Salute” with the unprecedented sight of all three Queens together on May 25 at the Line’s birthplace – the first time the entire fleet will have been together on the River Mersey. 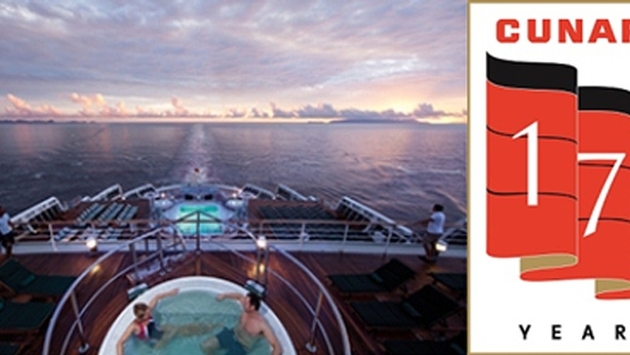 Eastbound Transatlantic Crossing & British Isles, May 10, 2015 – 17 days, New York to Southampton. Fares start from $3,348. Grand Transatlantic Crossing & Liverpool Salute, May 10, 2015 – 24 days, roundtrip New York. Fares start from $4,497. British Isles & Liverpool Salute, May 17, 2015 – 10 days, roundtrip Southampton. Fares start from $2,199. A 17-day option includes a Westbound Transatlantic Crossing to New York. Fares starting from $3,348. Baltic & Tribute to Liverpool, May 11, 2015 – 16 days, roundtrip Southampton. Fares start from $3,499. An 18-day option departs May 9, 2015 from Hamburg. Fares start from $3,898. Liverpool Salute, May 22, 2015 – six days, roundtrip Southampton. Fares start from $1,199. Queen Victoria will call at Cobh on May 7 2015 to commemorate the 100th Anniversary of the sinking of Lusitania – a poignant journey that will include ceremonies at the town’s memorial to mark this significant date in Cunard’s history. A special tribute will be paid to the Cunard men and 22 ships that were lost in the First World War. The seven-day Lusitania Remembered sailing departs roundtrip Southampton on May 3, 2015. Fares start from $1,399 per person. Beginning in June through October 2015, Queen Victoria will embark on her first full Mediterranean season, featuring 32 ports of call spread across an array of seven-, 14- and 21-day cruises. There will be several one-way departures from Rome, Venice, Athens, Trieste, or Istanbul, and a number of roundtrip voyages from Athens, Rome or Istanbul. Istanbul, Monte Carlo and Rome, October 10, 2015 – 14 days, Istanbul to Rome; $2,198. Queen Elizabeth will spend most of the 2015-2016 season sailing in Europe roundtrip from Southampton, with options from Hamburg and Kiel also available. She will also offer a wide assortment of two- to 17-day cruises exploring Western Europe, the Baltic and Norwegian Fjords, and Central Mediterranean. 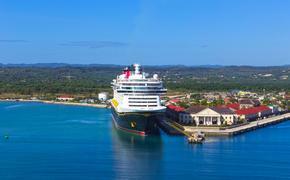 New to the lineup this year is an exciting 24-day Caribbean sailing roundtrip from Southampton. Other 2015 highlights include overnight stays in Monte Carlo, Amsterdam, Madeira, and St. Petersburg, and maiden ports of call at St. Raphael, La Spezia and Horta. World Club members can book starting at Midnight PT on April 8, 2014, and enjoy additional savings of 5 percent off launch fares, available for passengers who book by August 31, 2014. This offer does not apply to third- and fourth-berth passengers. Group fares continue to be offered on all sailings. For more information about Queen Mary 2, Queen Victoria and Queen Elizabeth or to book a voyage, call Cunard Line at 1-800-528-6273, or visit OneSourceCruises.com or www.cunard.com. As an added incentive for the seven-, 14- and 21-day Mediterranean cruises, travel Agents will receive a bonus commission of 5% on bookings made by 31 August 2014.